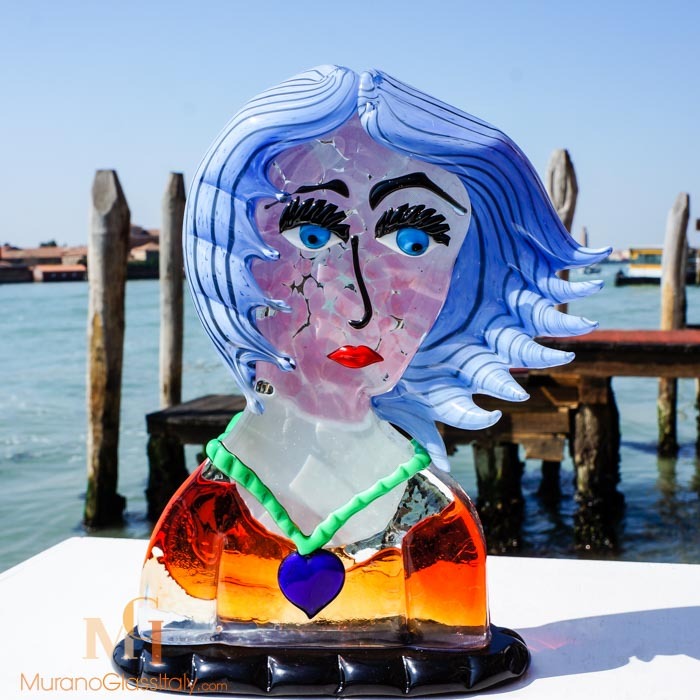 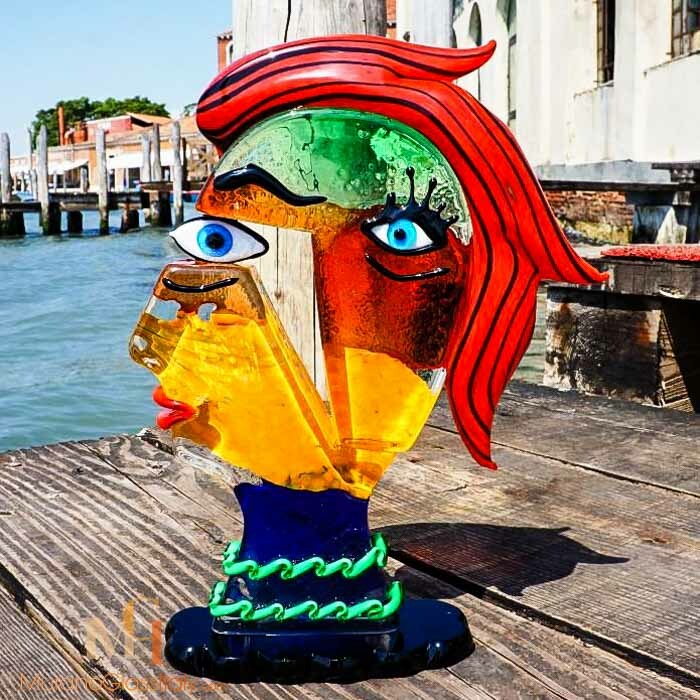 The displayed Murano Glass Head – Cinderella Sculpture manifests luxury with a touch of Italian allure. 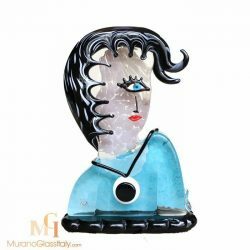 For the edgy and modern living. 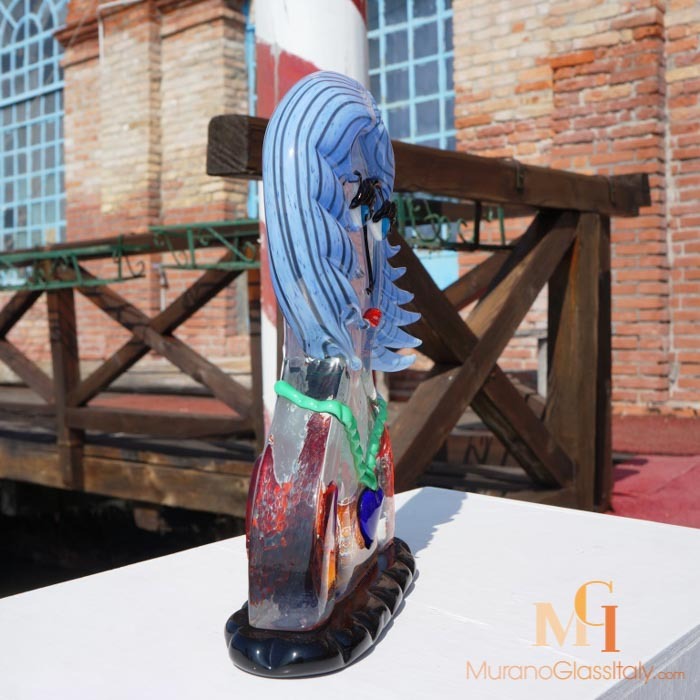 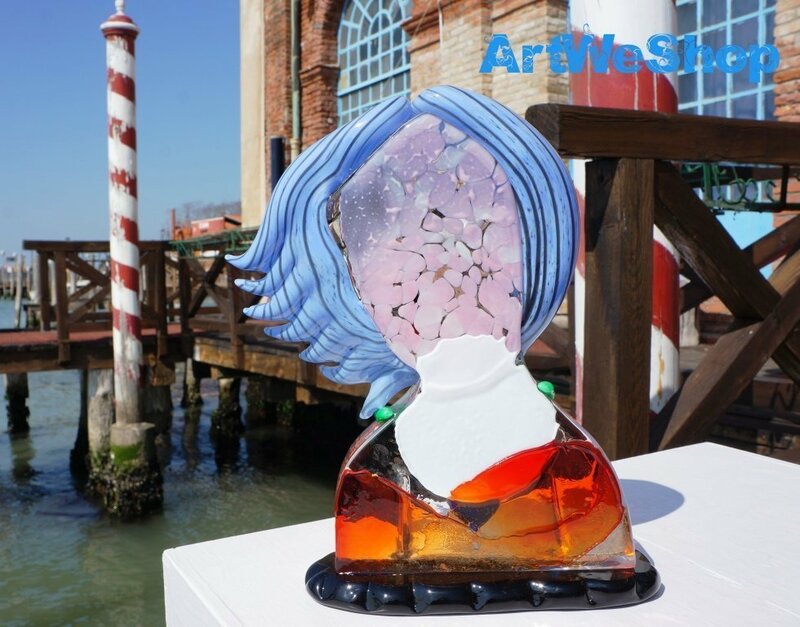 The exquisite 1000 years old Murano glass blowing tradition meets contemporary chic notes of design in this truly stunning sculpture. 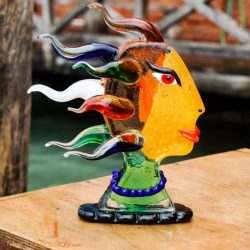 This sculpture will make a beautiful centrepiece or an unforgettable gift. 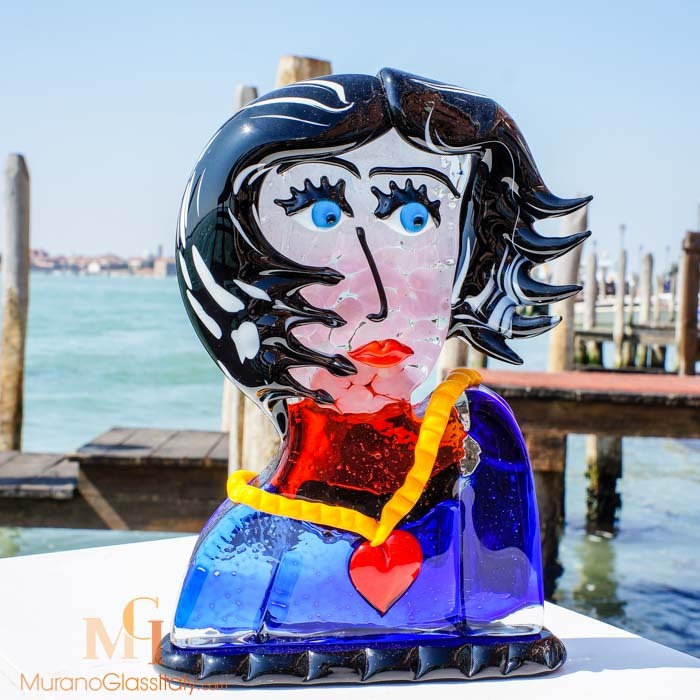 The artwork is signed by the artist, labelled by the atelier and certificate of origin is provided.